Another meterless combo tutorial has been provided by TrU3Ta1net. Watch the General Zod showcase inside. TrU3Ta1ent has posted a new combo tutorial for Injustice: Gods Among Us. 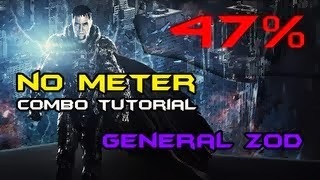 General Zod players may find this 47-percent meterless combo to be useful.